ST. GEORGE — As the field of precision medicine continues to advance, Harvard Business School decided it was time for a new case study to teach students about running a successful health care system. In 2017, they chose the Intermountain Precision Genomics program as the subject for their study, opening doors for Intermountain to improve their methods and visit Harvard classrooms. The Harvard Business School is considered a world leader in producing case studies, with its staff writing 80 percent of studies sold worldwide, according to the Harvard Business School website. The Intermountain Precision Genomics case study is used to teach Harvard MBA and Executive MBA students how to run health care systems by analyzing their business methods and discovering what works and what doesn’t. Precision medicine is any kind of precise health plan tailored for an individual based on their specific makeup, DNA and genomics. Intermountain has found that precision medicine actually costs less than traditional treatment, said Lincoln Nadauld, executive director of Intermountain Precision Genomics. Precision medicine is primarily used in cancer patients to determine what the best treatment is for them based on genomics instead of where it is located in the body, so a patient with breast cancer, for example, could benefit from a drug that is used to treat lung cancer and that is most effective in patients with advanced cancer, according to the study. The study was performed by Harvard Business School professors Richard Hamermesh, Kathy Giusti, Robert Huckman and associate case researcher Julia Kelley over six months. They looked at the program from all angles, including how it was initially set up, the executive support needed to start it, how they’ve measured patient outcomes and how well the program has been integrated within the larger health care system. They also looked at how the program has grown, the implications of the growth and specific challenges it faced. One such challenge is that not every possible mutated gene has been identified, and therefore targeted therapies only exist for the genes they are aware of. Another challenge has to do with insurance companies rejecting requests to pay for medication prescribed by doctors when a patient needed a cancer drug for something that was only FDA approved for a different type of cancer, according to the case study. 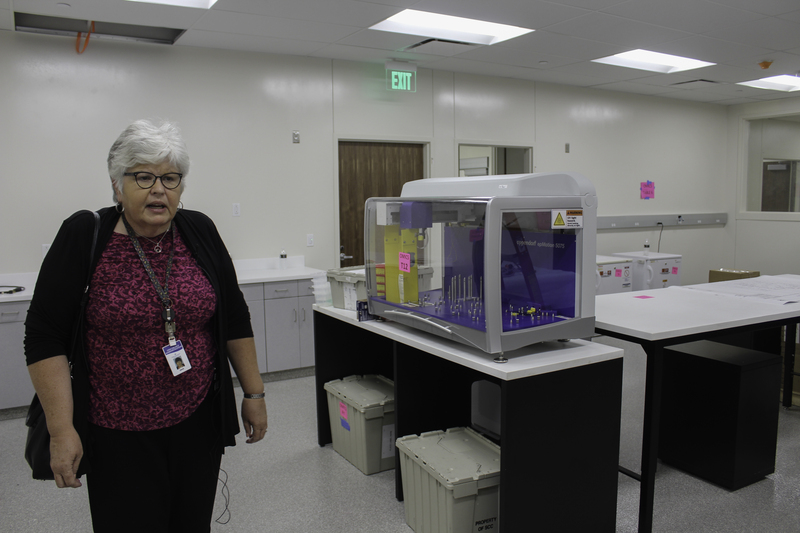 Intermountain Precision Genomics is headquartered in St. George and is offered at each of IHC’s 23 hospitals and 180 physician’s clinics. It first began in 2013 in the oncology department and is now large enough to provide DNA testing for over 1,000 patients a year. “We have found that precision medicine can help cancer patients live longer and have a higher quality of life,” Nadauld said. The program has expanded to the behavioral health department, and their hope is to start using precision medicine when prescribing opioids to help combat the nationwide opioid crisis and in sports medicine to identify patients at risk for sports injuries by 2019. Harvard isn’t the only university interested in Intermountain Precision Genomics. 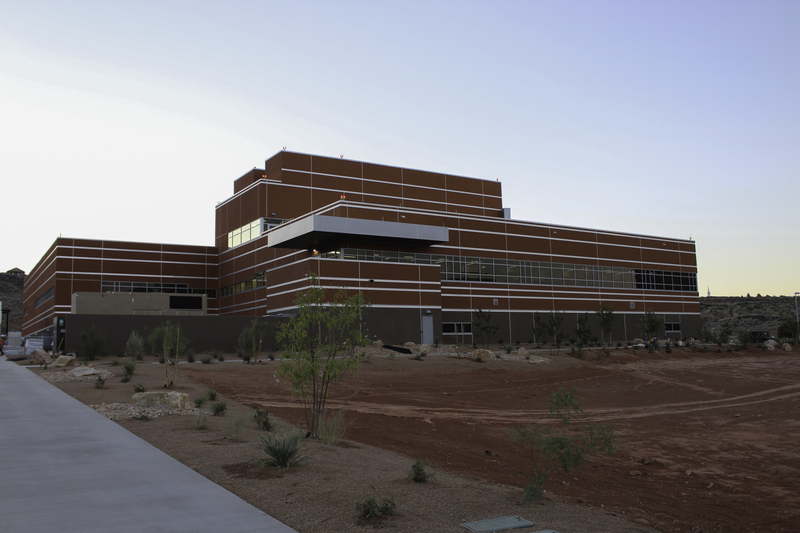 Stanford University has a dedicated laboratory in the new Intermountain Cancer Center of St. George for student researchers, postdoctoral fellows and faculty to study precision medicine and implement new protocols. The Harvard case study benefits Intermountain by validating its program as an example and leader in precision medicine, Nadauld said. It also allowed them to see their program through the eyes of another organization and where they can make improvements. Since the case study has been completed, Intermountain has begun adjusting and expanding the kinds of tests it offers in order to be more comprehensive. Nadauld anticipates that the case study will be used by other institutions in addition to Harvard, potentially giving the program nationwide exposure. It has also allowed those on the precision genomics team the opportunity to travel to Harvard and speak to students who are learning from the case study to answer their questions and provide additional insight. “We make new connections and extend our networks and just continue to develop that relationship with Harvard Business School, and that’s really fulfilling,” Nadauld said.